Do you need representation at a Probation Violation hearing? If you were given probation instead of jail time, it may seem like you got off easy. But make just one small mistake and you could find yourself back in court and your probation revoked. 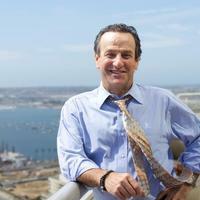 You should hire an experienced San Diego probation attorney to represent you in any probation violation hearing. When you are placed on probation, you are required to be on your best behavior and not to become involved in any type of criminal activity. If you are arrested while you are on probation, it signals to the judge that you did not learn your lesson and perhaps giving you probation was a mistake. No judge likes to be put in such a position, and the judge may make you pay the price for not having complied with the court orders. If you have violated your probation, or are facing allegations of a probation violation from a law enforcement agency, you need a qualified probation attorney to represent you. Depending on the nature of the probation violation, it may be possible to reduce the severity of the consequences you face. Having a knowledgeable criminal defense attorney by your side during the revocation hearing can make a difference in the outcome. Contact our office at (619) 239-2186 for a free consultation on probation violations in San Diego, or elsewhere in California.